Treat yourself to good books! Kiss Me First has an intriguing premise: what if the main thing that stops people from acting on suicidal tendencies is the thought of the grief their loved ones will suffer? And what if, thanks to people’s ever-increasing digital footprint, a website can help you ease that transition? What if this website can help you distance yourself slowly from your loved ones even after you’re gone, so that by the time they’re aware of your death, their grief won’t be as sharp? It’s an audacious idea, and a sobering realization that for some people, this might actually work. How many of our friends and family members interact with us only through email and social media channels? If it were someone else emailing and posting on Facebook on our behalf, how many of our family and friends will really know the difference? We’d like to think that the difference would be obvious, yet for someone who is determined to disappear, how difficult would it really be to do so? Moggach tells the story from the perspective of Leila, a lonely, isolated woman who finds a sense of belonging in the website Red Pill, where members engage in ethical debate. She soon catches the attention of website founder Adrian, who invites her to join the inner circle and help a woman named Tess arrange her own death. Here’s where the story becomes especially powerful: the concept of using the internet to mask one’s suicide is compelling enough, but Moggach points the spotlight on the people who can make it happen. A perennial outcast, Leila is understandably caught up in what she learns about Tess’s life. As Leila practices impersonating Tess online, she begins to fall in love with Tess’s life, and eventually, begins to allow it to dominate her own. The lines between the reality of her life and the fantasy of Tess’s blur, and it’s an easy slope for Leila to fall, because, after all, this fantasy is no longer a life that Tess wants for herself. And when Leila’s genuine, albeit horribly misguided, attempts to form human connection are cruelly rebuffed, it is heartbreaking to read. Even though told through Leila’s point of view, Moggach creates a compelling character in Tess as well. Beautiful, beloved and successful in so many aspects, Tess is nonetheless deeply troubled. She desperately wants to escape her life, to the point of paying Adrian to help her make it happen, but her decision to escape is itself another kind of trap. Having hired Leila to impersonate her, it gets progressively harder for her to back out and decide to live after all. At times she hesitates, and Leila convinces her to keep going, and it is to Moggach’s credit that Leila doesn’t appear a monster in such scenes — rather, we feel her pain and understand her desire to clutch on to Tess’s life, even as we hope Tess does choose to live. It’s an intense, emotional thriller, and the conversation around assisted suicide remains unresolved. The story does have its clear villain, though perhaps the tougher question is about the way of life that allows such a person as Leila to reach such a depressing level of isolation, and a person like Tess to be able to disappear, if not easily, at least believably. 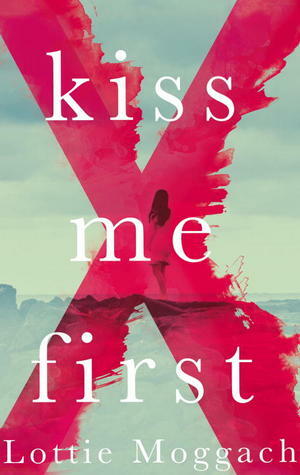 Kiss Me First is a powerful debut novel, and highly recommended. Thank you to Random House of Canada for a copy of this book in exchange for an honest review. This entry was posted in Book Reviews and tagged 50BookPledge2013, Fiction, Random House by Jaclyn. Bookmark the permalink.